Rayna Green is a curator at the National Museum of American History, Smithsonian Institution, where she also serves as director of the American Indian Program and as documentary historian for the American Food and Wine History Project. A folklorist with a Ph.D. from Indiana University, she has served on several university faculties (e.g., Dartmouth College) and in public service institutions (e.g., the American Association for the Advancement of Science). She has continued to teach and lecture widely during her years with the Smithsonian. Green is also known for her curation of museum exhibitions throughout the country and for documentary video and audio production. 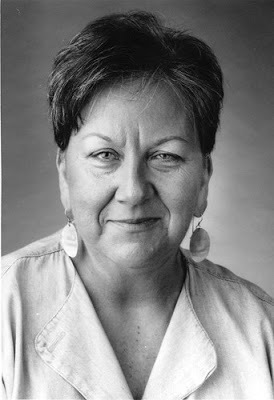 Appearing both in front of and behind the camera in many documentaries on American identity, she has played a primary role in the production of three documentary short films on Pueblo life and culture—We Are Here: 500 Years of Pueblo Resistance (scriptwriter/artistic director, Ciné Golden Eagle, 1992), Corn Is Who We Are: The Story of Pueblo Indian Food (co-director, Silver Apple, National Educational Film Festival, 1995), and From Ritual to Retail: Pueblos, Tourism, and the Fred Harvey Company (producer/director, 1995)—and in two pioneering audio recordings of Native women’s music: Heartbeat: The Voices of First Nations Women and Heartbeat 2: More Voices of First Nations Women (Smithsonian Folkways, 1995/1998). Her most recent video project, a documentary narrative with Julia Child, is In the Kitchen with Julia, following on her co-curation of the long-running popular exhibition Bon Appétit: Julia Child’s Kitchen at the Smithsonian.